HTRI Xchanger Suite® Educational is a version of Xchanger Suite customized for use by educational institutions. Supported by extensive data collected for over 55 years on our industrial-scale heat transfer equipment, this software quickly and accurately handles heat exchanger calculations. Please note that licenses for HTRI Xchanger Suite Educational do not include access to any of our commercial products such as eLibrary, Service Packs, or the HTRI Design Manual. Design, rate, and simulate air-cooled heat exchangers (with fans on or off), heat recovery bundles, and natural draft exchangers. Enter any tubeside and outside process conditions. 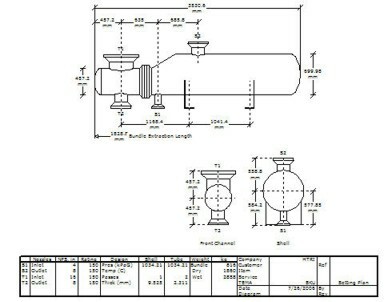 Design, rate, and simulate shell-and-tube exchangers. Analyze single-phase, condensation, and boiling processes. 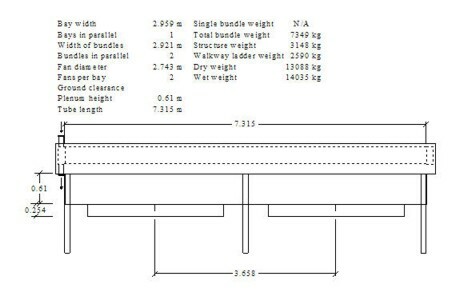 Preview rigorous tube layout using interactive drawing shown to scale. 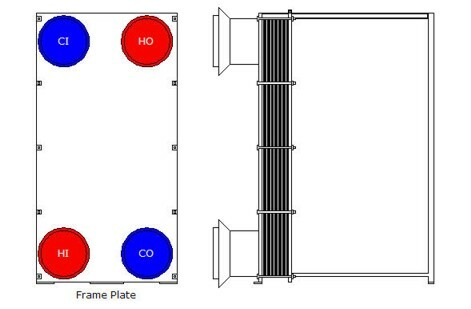 Design, rate, and simulate plate-and-frame exchangers. Calculate each plate channel incrementally using local properties and process conditions. Use unique research-based port maldistribution procedure to determine flow through each plate channel. Contact htri@htri.net for more information on Xchanger Suite Educational.